This entry was posted in Roles & responsibilities on 2017/05/31 by Susan. Is your joint health and safety committee effective? B.C. employers are now required to evaluate this once a year. Here’s a tool to help. As of April 3, 2017, joint committees in B.C. 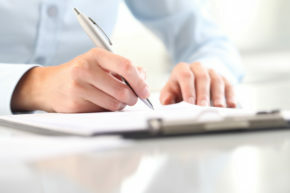 workplaces must complete an annual written evaluation of how effectively they are working. But employers don’t need to panic, says Tanya Steele, a safety committee trainer. I wrote about Tanya’s work with employers in my post Seven steps to better workplace safety meetings. Who does the annual safety committee evaluation? Tanya finds that employers are often confused about who is supposed to do the annual safety committee evaluation. The evaluation has to be filled out by the safety committee’s co-chairs (or members of the joint committee designated by the co-chairs), the employer, or a person the employer designates (such as a consultant or another worker). If it is done by anyone other than the co-chairs, the person(s) doing the evaluation have to consult with the co-chairs (or their designates) on certain issues. What’s involved in the evaluation? WorkSafeBC’s evaluation tool comes as a fillable Word document. In it are a series of questions where you check off answers (most questions are the Yes/No type). You’re also welcome to do the evaluation without the tool, as long as the evaluation meets the requirements. The evaluation should also be supported by other documents, including committee meeting minutes, training records for committee members, incident reports, and notes from conversations with workers. However you do it, completing the evaluation can be very educational. It can help identify areas where your safety committee is doing well, not just the areas you need to work on. See Changes for joint health and safety committees for the full details of what has changed. Here’s my summary. Joint health and safety committee member training: New safety committee members must complete 8 hours of training within the first 6 months on the committee. This training is in addition to the existing 8 hours of training members are entitled to each year. Role of safety committee members in an employer incident investigation: “They have the right to assist the investigator with gathering information, analyzing that information, and identifying corrective actions,” according to page 12 of WorkSafe Magazine March/April 2017. You may also want to check out these other joint committee resources. Safety committees play such an important role. Workers need to know their employers care about keeping them safe.